Get kitchen and bathroom remodeling tips & tricks, guides and ideas from All Teriors in Phoenix, AZ. Besides appliances, cabinets are often the first thing people notice in kitchens. Therefore, choosing the perfect cabinet means they not only have to be functional, but attractive and stylish as well. 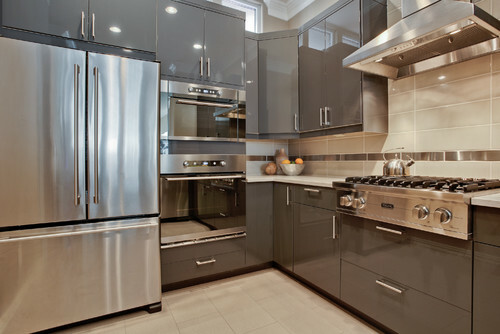 Plus, your choice of kitchen cabinet style can make or break your design. Below are the 8 most popular cabinet styles, what features they include and which kitchen styles or themes they work best with. 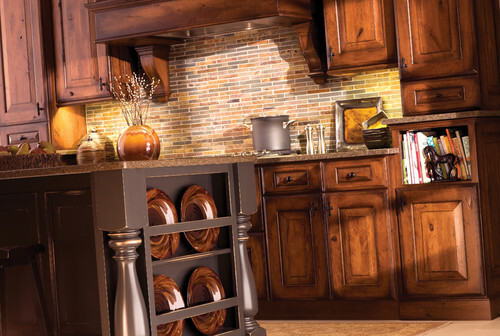 Shaker cabinets are by far the most popular and versatile style choice. Featuring a 5-piece flat-panel style, simple, clean lines and a variety of wood species, stains, colors and hardware, shaker cabinets can really fit any décor. But, they work best in antique, contemporary, modern or traditional style kitchens. They allow for the most optimization for you to make the cabinets completely fit your color scheme, never sacrificing their emphasis on utility. Shaker cabinets are extremely cost effective, one of the less expensive styles on the market, a lot of the time, using a natural finish instead of paint can save you 20% on your purchase. Louvered cabinets look kind of like window shutters with their horizontal slats, but can be a great look in the kitchen too! These cabinets add a very distinct architectural style and go great with an Asian style (in solid black or white), traditional or transitional style kitchen. They also work well for storage areas that require ventilation (such as a pantry). The only downside to this option is that they can be rather expensive. 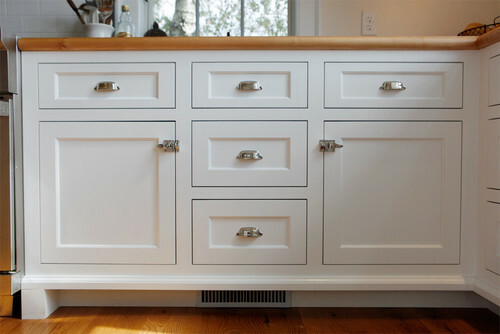 Flat cabinets are simple yet stylish with hard lines and minimalist form. These cabinets are completely lacking expensive details and being available in laminate, this style may be the cheapest cabinet choice to make. 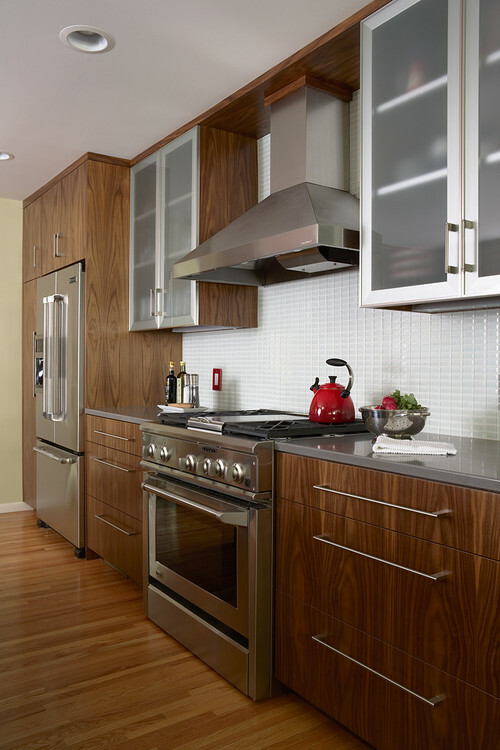 Flat cabinets are also available in a variety of wood options and colors, but only when you choose laminate cabinets. Since laminate can peel and crack, they may not be the longest lasting but these cabinets are an easy fix and an easy clean complete with utility. Flat cabinets can work in many different kitchen styles due to their simplistic design; however, they might look super great if your kitchen style is arts & crafts style, Asian themed in some cases, they are perfect in contemporary or modern kitchens, or even traditional/transitional. Inset cabinets are a classic style, although the most expensive option. It is called 'inset' because the door is actually set inside the cabinet frame rather than outside of the frame as cabinets usually do. They are designed and constructed with precise measurements so it can nest inside the frame and usually requires exposed hinges. 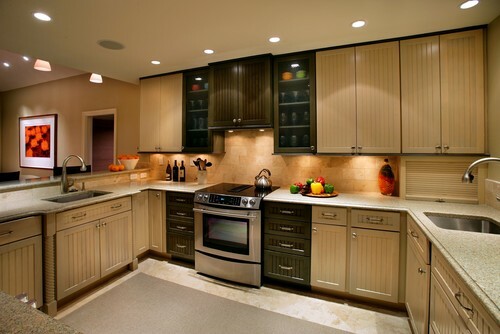 As you can see, these sleek cabinets come in a variety of colors, styles, and wood finishes. Since they are so specially designed, these cabinets are an extremely durable option. 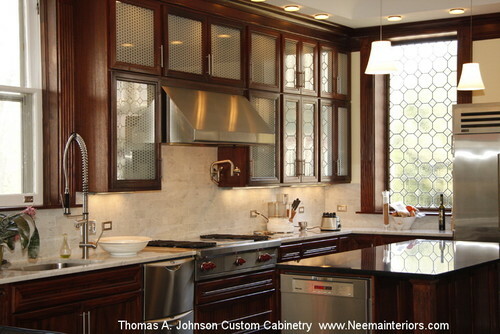 Inset cabinets look great in luxury kitchens as well as transitional and even on occasion traditional style kitchens. Believe it or not, distressed cabinets don't just look this way naturally. This cabinet option can be costly since they must be destroyed before they are installed to give this look to them; usually a 15 – 20% up charge is added to your purchase in order for a tradesperson to destroy them. However, by doing this, the cabinets alone can give your kitchen a very rustic look and even though you may have just bought them, they'll look like they've been installed for hundreds of years. Distressed cabinets will look great in any vintage or antique style kitchen. Also, they will complete the look of your kitchen if you are going for an early American or rustic/antique European look. Think Italy! Beadboard was used as a decorative wall treatment way before using plaster, drywall and paint was customary. This cabinet style is designed to look just like that material and can be a very classy look. 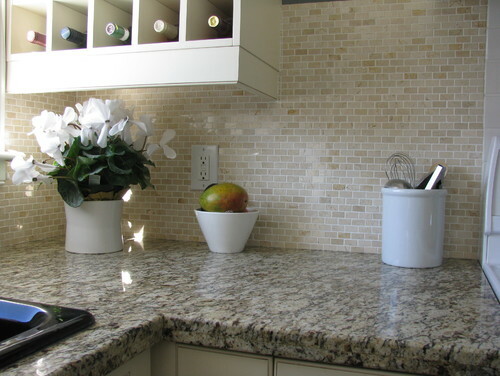 Beadboard in white (as shown above) can in fact brighten and open up your kitchen, giving it a homier feel. The down side to this style is that the cracks and crevasses in the doors can be a pain to keep clean, so these cabinets require a lot of cleaning maintenance perhaps without heavy kitchen traffic. This style is practically made for a cottage/country style kitchen and looks fabulous with that décor. However, you can also brighten the look of a vintage or contemporary kitchen with these cabinets. Thermofoil is molded out of medium-density fiberboard or MDF, wrapped in a plastic coating and then baked at extreme temperatures to create an impervious seal. This manufacturing process makes thermofoil the most durable cabinet door option on the market; which consequently makes it the most popular choice. They are also extremely cost effective, a cheaper choice over most other options on the market and providing more bang for your buck. Thermofoil cabinets are, however, not the most versatile option in terms of color; they only are available in solid colors and imitation wood grains. The downside is that any damage to these cabinets can be extremely difficult to repair and lighter colored cabinets in thermofoil can yellow from sunlight and heat over time making them the option possibly with the shortest life span. 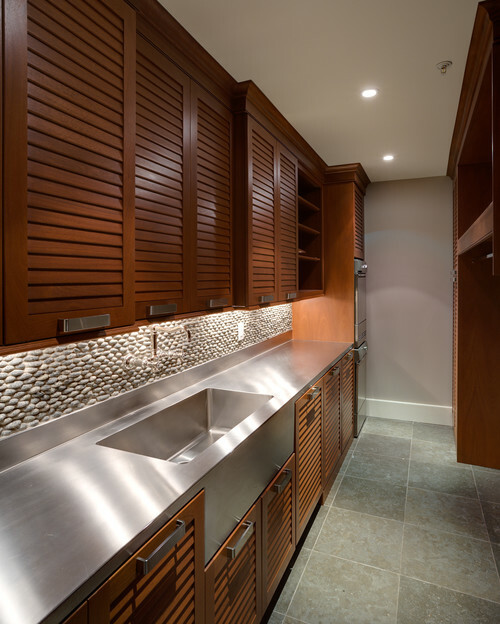 Thermofoil cabinets work great in heavy duty kitchens and are perfect for gourmet style (chef's style) kitchens and luxurious kitchens as well as traditional and transitional kitchens because of their simplicity. Can't find a door style on the market that really complements your unique design intention? Design your own or mix and match! Work around your personal budget, color scheme and style customizing your own cabinetry. Contact All Teriors today to help you create a personalized design, just for you and your family. If you’re renovating your kitchen, it can be difficult to make everything fit with the style you've envisioned for your home without sacrificing functionality. More often than not the most functional aspects of a kitchen are difficult to compromise on, especially countertops. 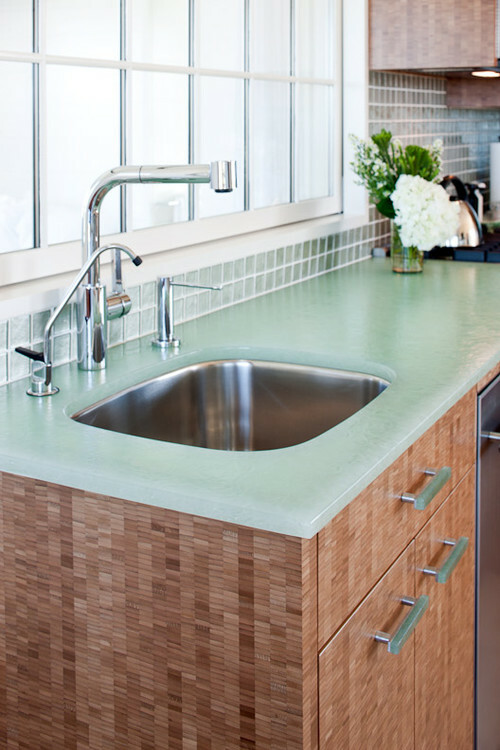 With so many countertop materials to choose from, picking the perfect option can be tricky. That’s why we’ve compiled a list of the 10 most popular countertop materials to aid you in your search. Granite is arguably the most popular choice with variety, durability and classy appearance. Being a natural stone, granite can be frustrating to work with due to innumerable color/hue options and wide ranging cost variables based upon the scarcity of the hue. Cost: $20+ per sq ft. Granite is durable and sanitary, very easy to clean. Granite doesn’t depreciate and actually adds value to your home. Granite comes in a wide variety of colors and hues, making it easier to fit into whatever color scheme you have in mind. Granite lasts forever. If there is any problem (tired of the color, cracks, and stains) with your granite, you will have to rip it all out and redo it. Ripping granite out can cause damage to the cabinets. Cost varies, the cost of granite can be high depending on the scarcity of the hue, the availability of the granite, and generally you end up paying for more than you use. Quartz countertops are relatively new to the home renovation scene, but are steadily gaining popularity and already have a dedicated following. 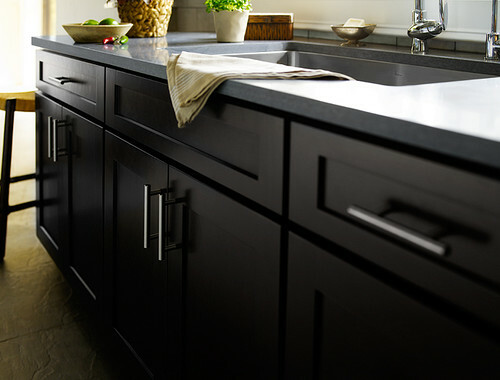 Bringing allure and durability to the table, quartz is here to stay and may soon dominate as the most popular choice. Cost: $95-$200 per sq ft.
Quartz is even more diverse in color than granite! Quartz has the better durability than granite because it doesn’t crack or chip as easily as granite would. Since Quartz is a non-porous material, it is more sanitary with less chance of staining. Quartz is a very pricey material. The heat resistance of Quartz compared to a few other countertop materials is considerably reduced. 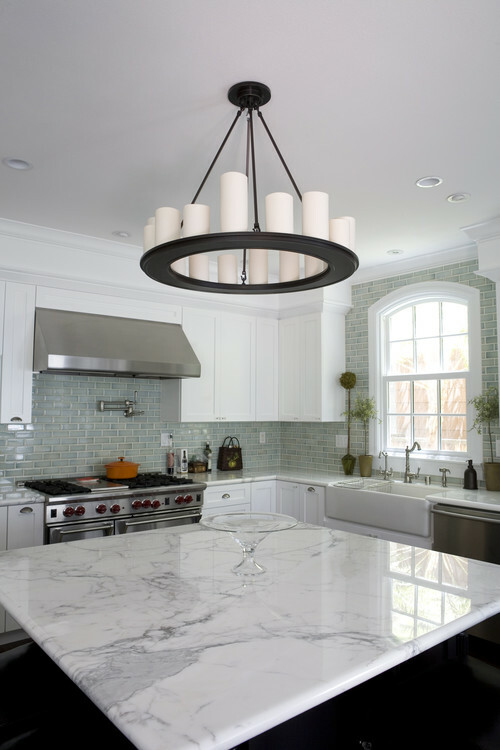 Tile, since it is one of the more affordable options, is common. Depending on the look you are going for, you can choose from a varied set of color options from two main types, stone or ceramic. Each has is own advantages and disadvantages. Cost: Ceramic is $10-$50 per sq ft. Stone is $30-$70 per sq ft.
Tile offers complete customization. You can design your countertop to suit your style and it can be incredibly unique. Tile is the most affordable option for countertops, both in short term and long term since you don’t have to replace it for many years. Tile is very easy to damage. Dropping anything heavy or leaning on a poorly supported counter can severely crack the tile. The only way to repair damaged tile is to completely replace the damaged tile(s) which may ruin the color scheme or design of the counter unless you keep a few tiles from the original installation. 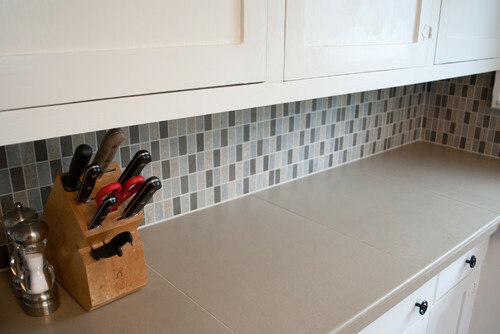 Tile requires constant maintenance to the grout joints. 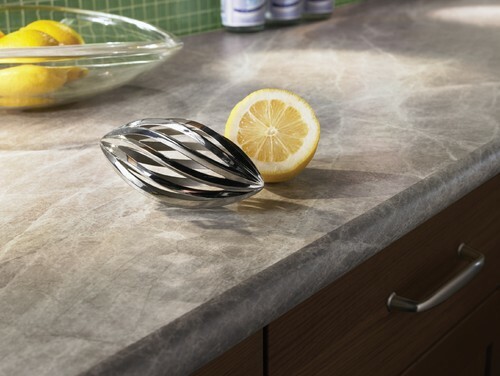 When we think of marble countertops, one word jumps out: elegance. It’s no secret that marble is probably one of the most sought after countertop materials out there for this reason, but you don’t let the beauty hinder the disadvantages marble brings to the table. Cost: $70-$100 per sq ft. The elegance and beauty of marble is an obvious advantage here. Marble doesn’t conduct heat well, keeping the countertop cool. This is a serious advantage for those heavily involved in pastry making. Marble is a widely available material for countertops, making is slightly more affordable than say, granite. Marble doesn’t really stand up to wear and tear. It is known to be easily scratched or stained. Marble is also susceptible to ‘etching.’ Mainly caused by acidic foods, etching is when the finish of the marble is dulled and a faint print is left on the surface. Stainless steel has it all, brawn, brains and beauty. Loved by chefs worldwide, this up-and-coming surface is breaking its way into stylish and modern living. Did we mention up keep on stainless steel will cost you less in the long run? Imagine having your best stainless steel cookware as your countertop. Talk about durability and sanitation! Cost: $70-$105 per sq ft. Stainless steel possesses amazing durability! Clean up is a breeze because stainless steel is nonporous and non-staining. Stainless steel is super heat resistant. Stainless steel will last you forever, literally! It has a life expectancy of nearly a century! Save money long term while enjoying long term style, beauty and modernism. If constant fingerprints and watermarks drive you crazy, this may not be the countertop for you. Stainless steel can succumb to scratches and dents if not treated properly. Stainless steel’s little brother, Zinc, is less trendy and always seems to be stuck in stainless steel’s shadow. 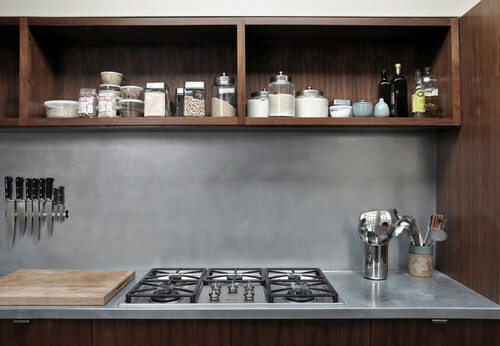 However, Zinc’s adaptability and functionality in the kitchen is impossible to overlook. Cost: $100-$120 per sq ft.
Zinc is super sanitary! It is naturally resistant to mold, mildew and bacteria. Since it is very malleable, Zinc is really versatile and can be molded to fit into your design plans. Zinc is really easy to maintain, only needing a quick rub down with water and dish soap. Zinc is pricier than many other options out there. If you are planning remodeling with a small budget, zinc definitely isn’t the way to go. Zinc is tricky to install yourself, so it typically requires professional installation. This could mean even more money out-of-pocket. Zinc difficult to keep scratch free since it is softer than most materials and it is also susceptible to heat because of this. Profiled edge: varying by manufacturer, edge profiles include beveled, ogee and bullnose edges. Edge band: thick veneers added to a cabinet’s edge made for abuse and durability. Metal edge: a less sanitary option, these crumb catchers are a retro option that are fastened to the edge of the counter. Exposed plywood: a more modernistic approach, these veneers leave the thin veneer edge and plies exposed. Have we mentioned the affordability yet? Laminate countertops are very low cost. Multitude of colors, patterns and finishes fitting to your style. Laminate is very low maintenance and is a breeze to clean. Laminate is extremely susceptible to scratches and cuts. Keep the cutting board out at all times. Be sure to use pot holders, as lamination is only heat resistant to 150 degrees. When cleaning, you can’t use bleach. Bleach can cause severe discoloration to lamination. Soapstone is the durability king! While a more expensive choice, soapstone has the potential to last for you, your children, your children’s children, and so on. In fact, most wood-burning stoves from the 1800s, still functioning today, are constructed from soapstone. Talk about a lifetime investment! 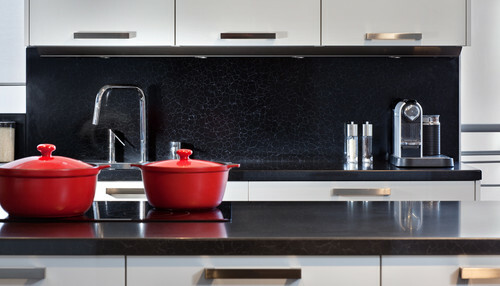 Soapstone can make the perfect kitchen material as it’s not only super durable, but also unaffected by heat. It is a chemically neutral material making it resistant to acidic foods as well. Soapstone is also impervious to bacteria and stains due to its density. Soapstone is another soft stone; therefore, it is in danger of being nicked, scratched and worn. Make sure you pick out a slab that is darker in color and has less of a green cast. These are the harder slabs. If you have sustainability in mind, Bio-Glass is eco-friendly as well as trendy. It is made out of 100% glass and has a translucent appearance. It can, however, be chosen in a variety of beautiful, earthy colors. Cost: $85-$115 per sq ft.
Bio-Glass is relatively easy to clean. Sustains Cradle to Cradle certification. Bio-glass is pricey for what it’s worth. Since its glass, this material is NOT knife friendly. Bio-glass is definitely susceptible to scratches. The combination of concrete and recycled glass may sound trashy and non-functional, but it is actually trendy, eco-friendly and extremely durable. The downside? This countertop material may be the most expensive investment in your kitchen, other than those upgraded appliances of course. Cost: $100-$160 per sq ft. 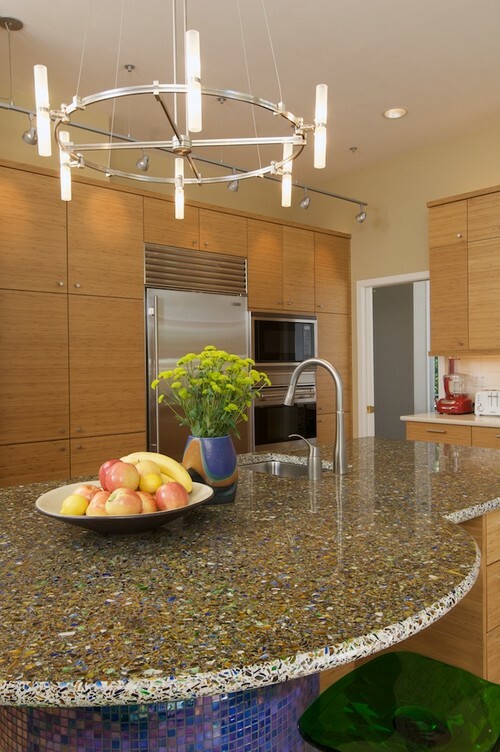 Concrete and recycled glass is a great way to add character to your kitchen without having to sacrifice durability. 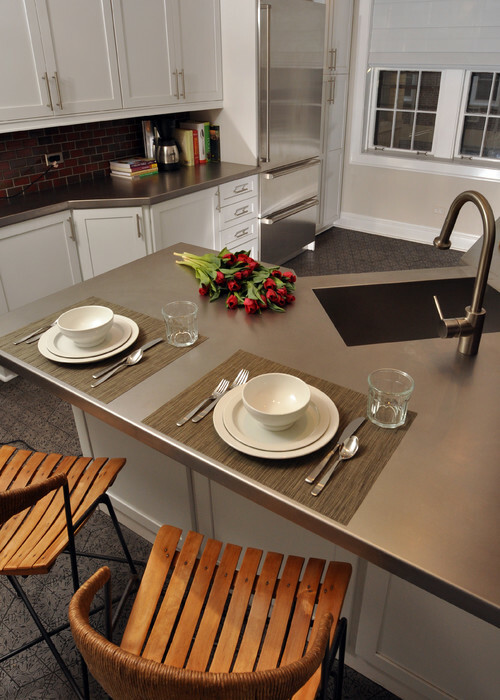 This material is both scratch and heat resistant, making it a more desirable kitchen top. This option is super eco-friendly, especially when the plants are located closer to where you’re located. Since concrete is porous, this material is susceptible to staining. Needs to be sealed and resealed consistently. Though this material is tough, it is not knife friendly. 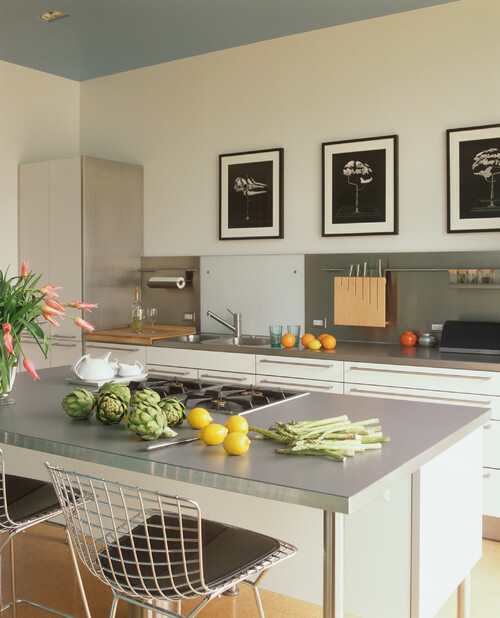 Think about what is most important to you in your kitchen, decide on color and design schemes and finally, take a look again through the pros and cons of each countertop material and find the perfect match for you and your kitchen. What was or is your favorite? Which material do you have in your home currently? Or what material will you use having read this article? Tell us in the comments below! We’d love to hear from you! Remodeling a small bathroom isn't always an easy task - especially when the feeling of spaciousness is what you're going for. 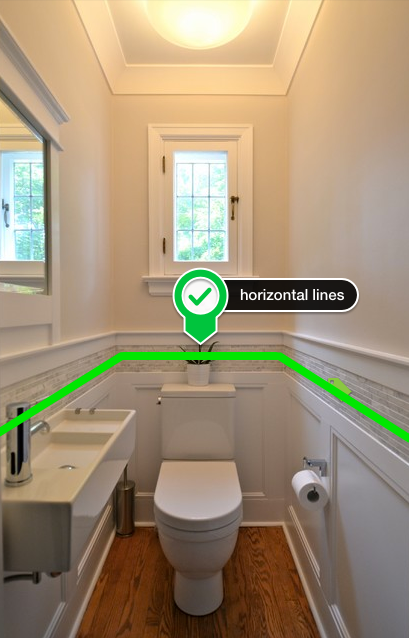 But here are some quick tips to help open up the space, making your small bathroom feel bigger. One of the easiest ways to increase a small room's spaciousness is by emphasizing dimensions. For example, the emphasized depth and height in this powder room makes up for the lack of width. The tile inlay and millwork is used to create continuous horizontal lines, creating the illusion of depth. Also, pairing a darker colored flooring with a lighter wall color, brings height to the space. 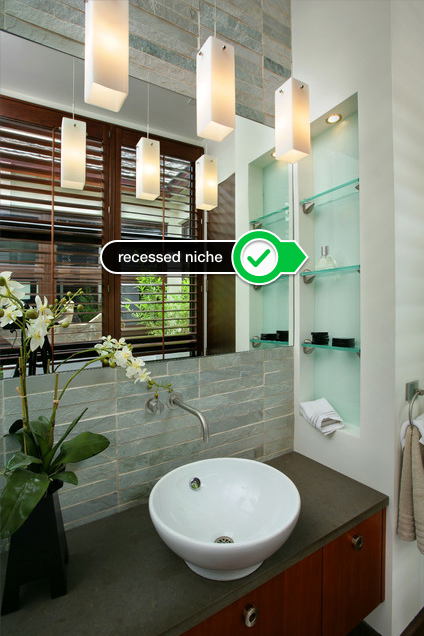 You need a place to put stuff, so why not create a recessed niche? The glass shelves and additional light really help open up the space too. Tip: Transfer toiletries to pretty bottles or decorative boxes to reduce clutter and amp up the style! Here's a brilliant example of a niche coming to the rescue! Since the door opens onto the only wall available to hang a towel rack, the designer created a niche and built the towel racks into the wall. 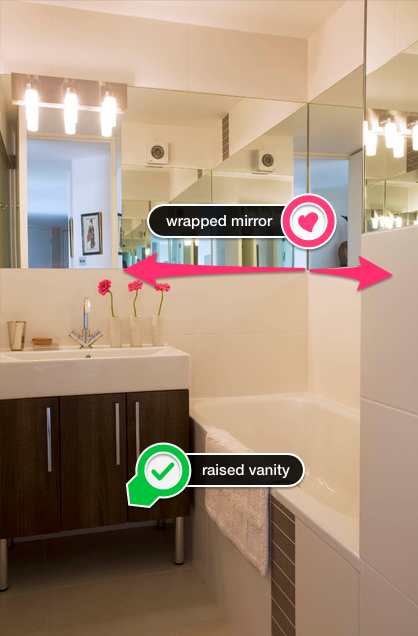 The easiest way to make any space feel bigger is by hanging a mirror… or two! 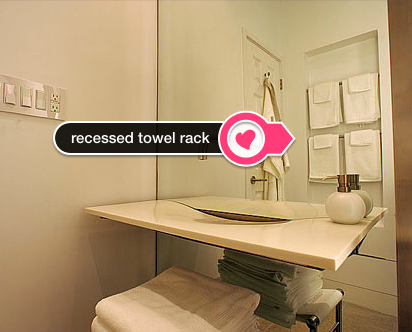 Also, a raised vanity on legs lets the floor sweep underneath, giving an airy aesthetic to the room. 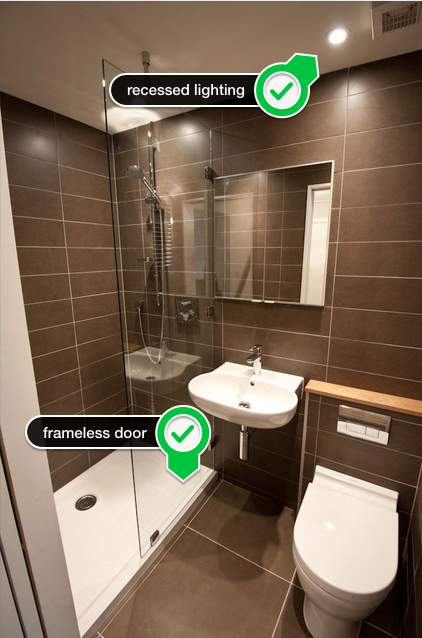 Another trick to making a small bathroom feel spacious is by installing a frameless shower door. Not only do the clean lines add a modern touch, but the lack of frame opens the area up. Tip: Installing recessed ceiling fixtures helps add height to the room. Last but not least, using a pocket or barn door (instead of a hinged door) gives a small area more usable space. 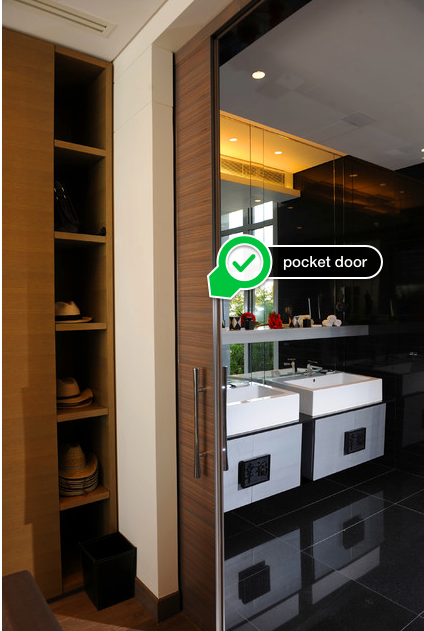 If you can find a pocket door made from a translucent material, the added light will also help open up the room. © 2014 All Teriors. All Rights Reserved. Picture Window theme. Powered by Blogger.